World oceans day is a celebration that takes place across the globe to raise awareness about the significance of oceans in human lives and why we need to protect them for our future. World Oceans Day is celebrated worldwide on 8th June every year. The unofficial celebration of this day begun in the year 1992 when Canada’s International Center for Ocean Development and Ocean Institute of Canada proposed the observance and celebration of World Oceans Day at Earth Summit in United Nations. The Ocean Project is working towards promoting this day in every part of the world since 2002 in association with several organizations including Association of Zoos and Aquariums, World Ocean Network, and numerous others. 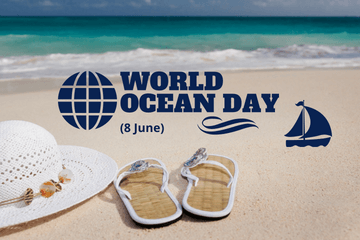 Since 2002, it has been raising awareness about World Oceans Day in all parts of the world and together with World Ocean Network initiated a movement for 3 long years to secure UN’s acknowledgment for this day. The United Nations officially recognized World Oceans Day in 2008. World Oceans Day is celebrated with much enthusiasm and spirits across the world on 8th June. Youth is playing an important role in promoting World Oceans Day on a large level since 2015. The idea of a ‘World Oceans Day’ was first proposed in 1992 at the Earth Summit in Rio de Janeiro as an approach to protect our world’s sea, in addition, to bring to light the pivotal part ocean plays in our lives and the essential ways individuals can help secure it. 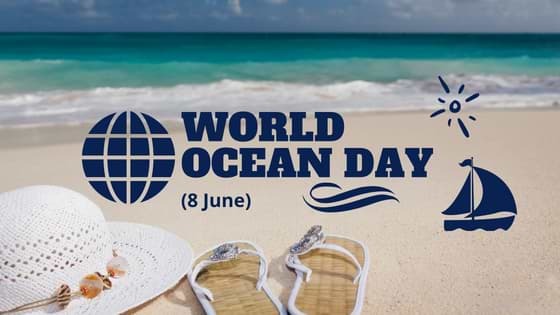 Celebrated every year on 8 June since 2008, World Oceans Day is a chance to raise worldwide awareness with the difficulties and grave consequences that we might have to face if we do not get mindful towards the protection and preservation of our seas/oceans. Oceans, are, in a way the petrol of our planet which keeping it healthy and running along with giving the vast majority of oxygen we inhale. The seas are also a source of nourishment and medicines and an indispensable aspect of the biosphere. Plastic pollution is a major concern for our marine resources. Plastic possesses greatest threats to the health of our Oceans. Fishes eat plastic, and people eat the fish, harming the overall life on our planet. 80% of the pollution comes from the people living on land. 100,000 marine mammals and 1 million seabirds are affected by plastic pollution. (STATS PER YEAR). Use less plastic and try to recycle the plastic you use. We want a better future for what we love. To survive and grow, we need our oceans healthier. There are two worlds, one on surface and other is OCEAN, and we need to protect both of them. Change starts with you – How? You are never small to make a difference! You may be an individual, but you can really make a positive change. Share the idea with others, push those around you for a change to make our present better and to secure the future of our coming generations. Will you stop using plastic bottles, plastic bags & straws to help our oceans? Plastic trash is a serious problem which our oceans are facing, and especially all the animals that call it home. But together we can be a part of the solution by minimizing the use of plastic. Let’s celebrate this World Oceans Day together and clean the junk around the seas and make them clean and give a better future for both our society as well as marine wildlife. We have to come forward and address the problems associated with Ocean. “Wear Blue To Support Oceans” and spread the awareness in and around our societies.